Jane called it her "unihorn." Honestly, this new comics thing is as much a surprise to me as it is to anyone. I'm having so much fun. I'm toying with the idea of renaming the blog to reflect the change. 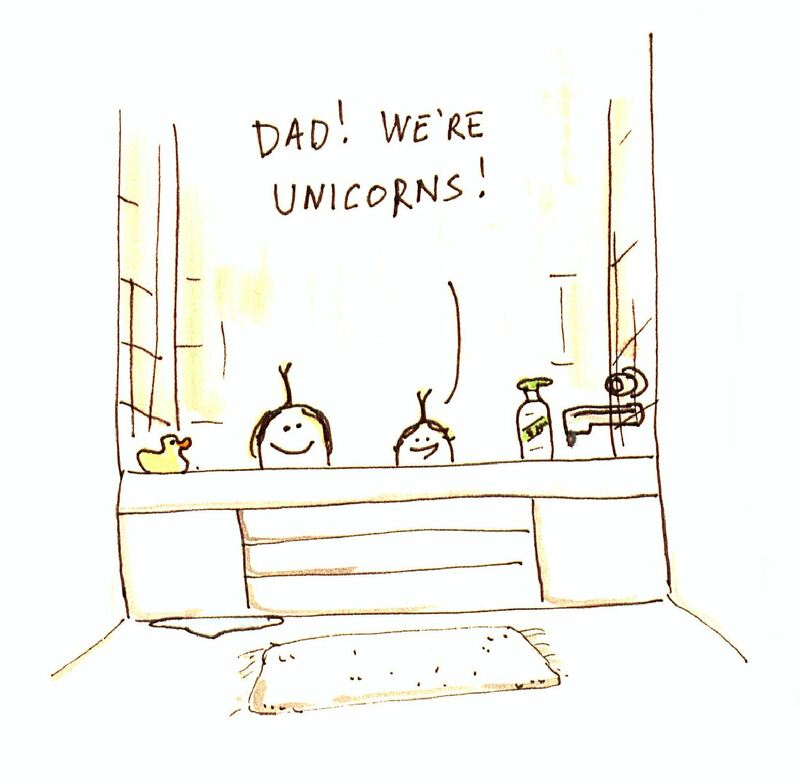 "Dad! 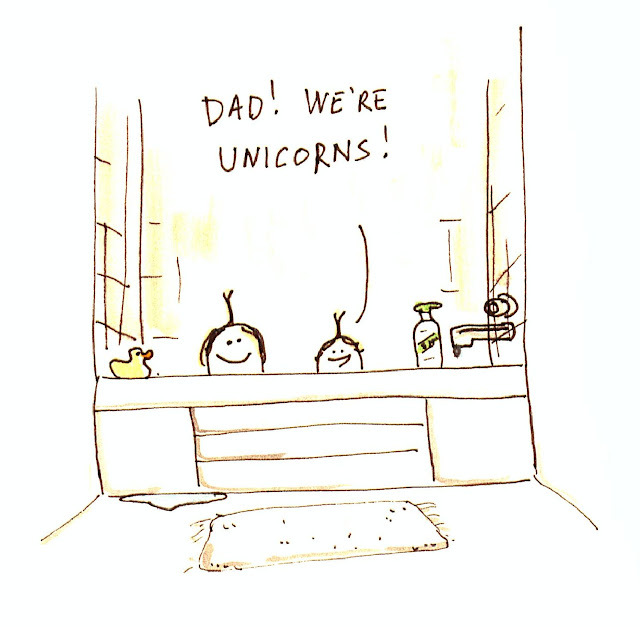 We're unicorns!" is my number one fav, if I happen to go that way. But aren't you and Erin the transplants? The kids are the offshoots. See what I mean? I think it's confusing now. I just really love the way you draw. And use colour. I stare at your comics for a long time. I have no idea why, but something really appeals to me.